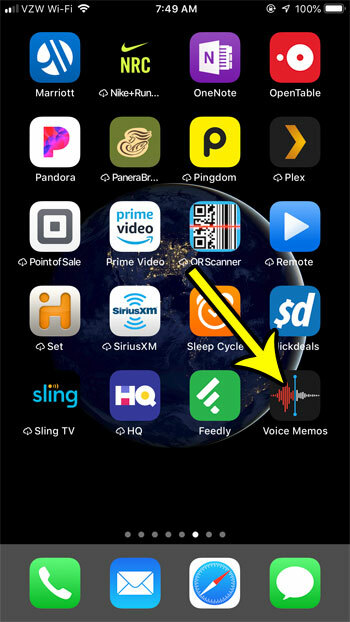 The Voice Memos app on your iPhone is a helpful way to record audio. Whether you are making a note for yourself, recording music, or simply recording a sound that you are hearing, the Voice Memos app is a great solution. But the more you use the app, then more voice memos you are going to create. You may find that you don’t need all of those memos, and that you want to delete some of the unnecessary ones. Our tutorial below will show you how to delete voice memos from your iPhone. The steps in this article were performed on an iPhone 7 Plus in iOS 12. 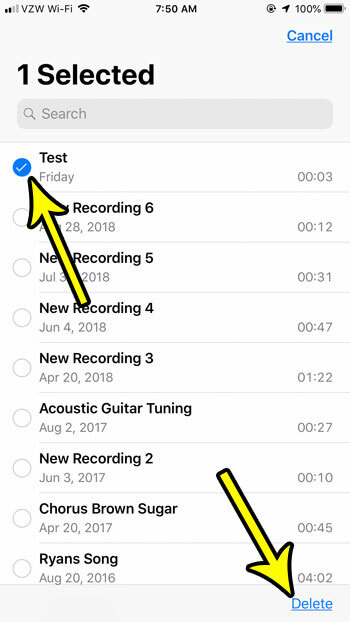 Note that deleting a voice memo is going to move it to a Recently Deleted folder that appears at the bottom of the list of voice memos. 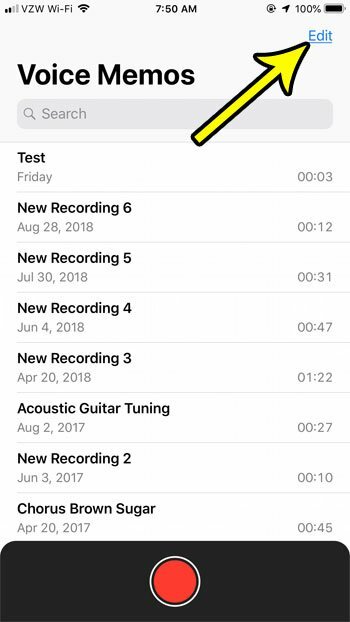 Anything in that folder will auto-delete after 30 days, but you can open that folder, tap the Edit button, then choose to Removal All for the messages contained within it if you would like to delete those voice memos before those 30 days have passed. Step 1: Open the Voice Memos app. Step 2: Touch the Edit button at the top-right corner of the screen. Step 3: Select the voice memos that you want to delete, then tap the Delete button at the bottom-right corner of the screen. As mentioned earlier, you will get a notification the first time that you delete a voice memo explaining how it is being moved to the Recently Deleted folder. If your iPhone is running low on space, the check out our guide to freeing up storage. There are a lot of places to look on your iPhone when you need to delete apps and folders so that you can make or install new ones.